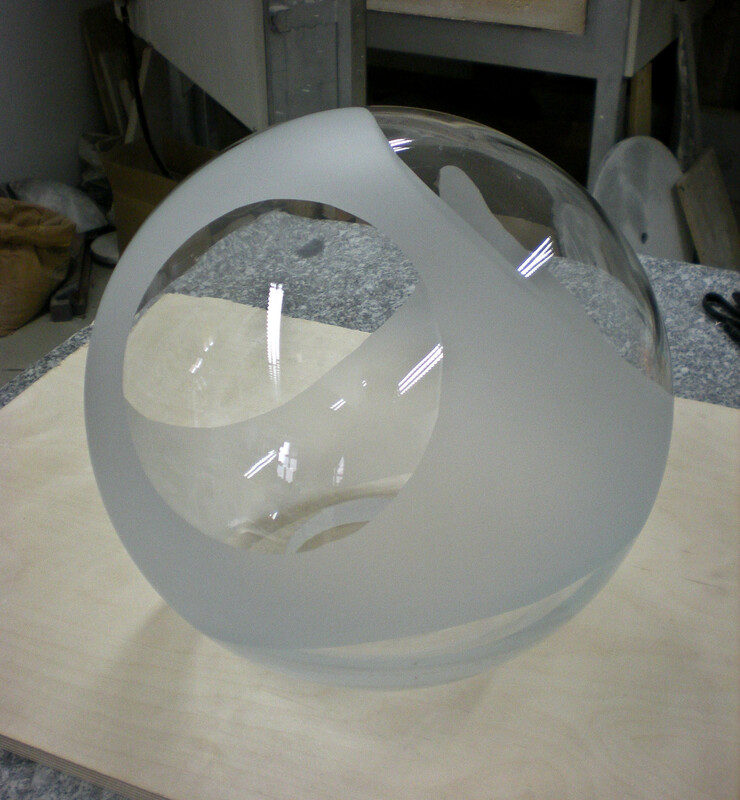 This week, after many sketches and consultations, I have started to make my glass light. 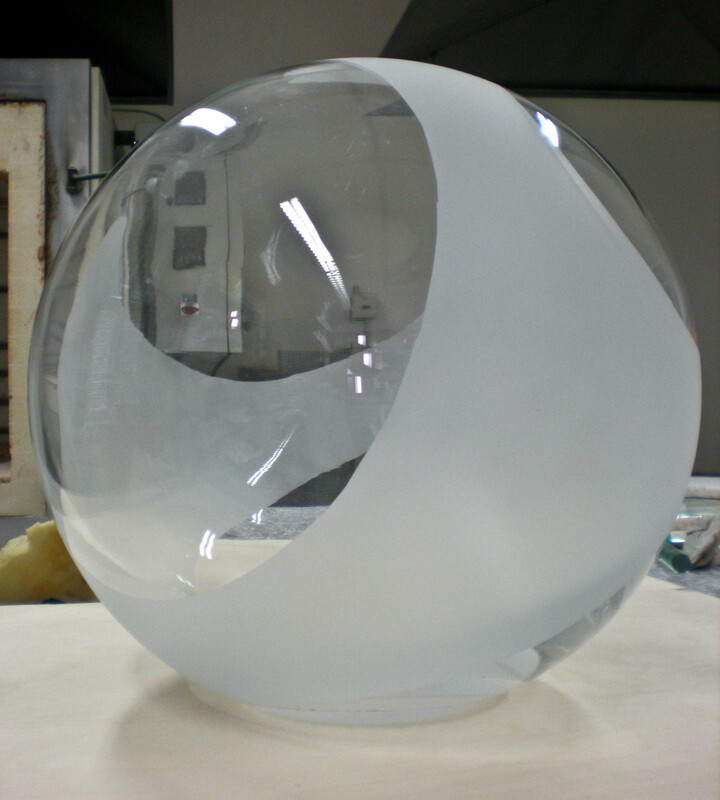 Initially I was quite nervous about starting its production as I had to consider how I would light the glass and how I would fit the ‘kopna’ inside the sphere. This meant I had to cut a larger hole in the base of the glass sphere and with the glass being so thick, it took a lot of time and patience. However, once the hole was made I managed to find the perfect light: a LED camping light, and then start on the lights surface decoration. 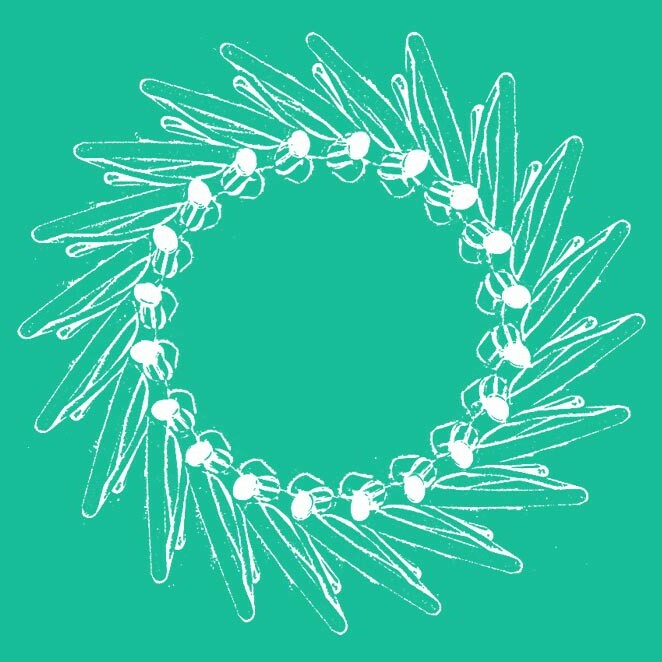 For this I decided I would sandblast parts of the glass, basing the shapes loosely on multiplying cells. 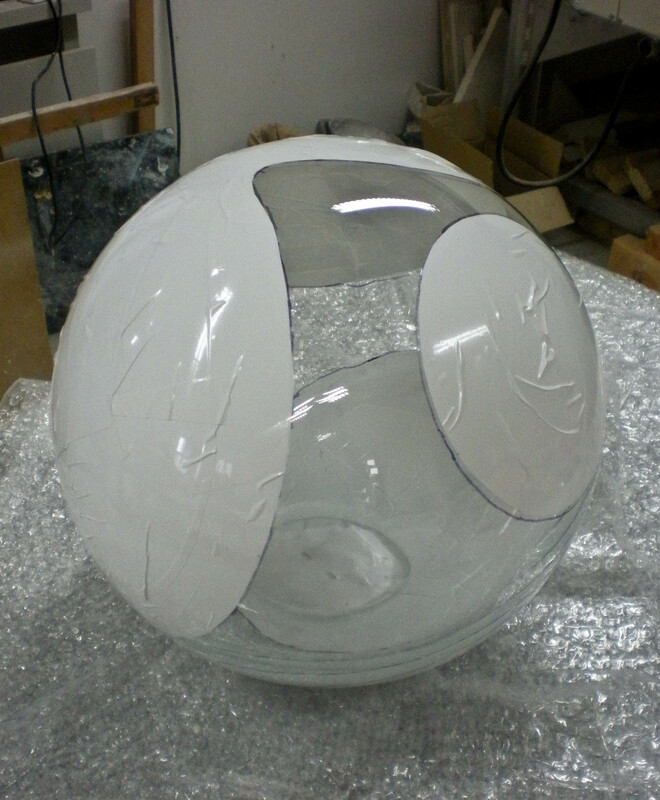 By doing this, I would create variations in the light shining through the glass and with the ‘kopna’ glued inside, the clear parts of the sphere would act as windows into the piece. Below is the finished sandblasted decoration.